Dale understands the complexity of buying and selling property in today’s ever-changing real estate market. Working as a full-time Realtor since 2002, Dale is dedicated to helping customers achieve their real estate goals, whether they are buying or selling residential, commercial or land real estate. Dale has delivered some of the best value per acre, to his clients, in his region. 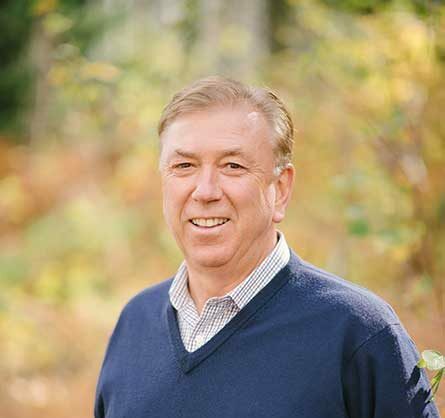 In particular, Dale’s extensive agricultural experience allows him to help clients achieve their real estate goals with effective insight and confidence. Dale’s passion for land and agriculture began while growing up on a farm in Anderson County, Kansas. His early years were spent farming with his dad. At age 20, he purchased his first 160 acres, which eventually grew into a 1,300-acre farm. In 1985, Dale received recognition as one of the four National Outstanding Young Farmers, awarded by the National Jaycees Organization. Beginning in 1991, Dale purchased and subsequently operated for 20 years a commercial grain elevator, LinDale Grain, in Williamsburg, Kansas. From this business venture, Dale learned he truly enjoyed working with customers and building lifelong relationships. This business experience encouraged him to take his next career step into real estate. Since obtaining his Kansas Real Estate license in 2002 and his Kansas Broker’s license in 2007, Dale has been successful in real estate as demonstrated by the achievements listed below.